The National University of Singapore (NUS) announced today (8 Feb) that it will be launching a special admissions scheme for polytechnic graduates “demonstrating entrepreneurship abilities”. The scheme is predicted to increase the number of poly grads admitted to NUS. Last year, about 1,200 out of 7,800 undergraduates admitted to NUS graduated from polytechnic – around 15% of the cohort. According to a report, NUS has asked 5 polytechnics to nominate up to 40 students who have “displayed a strong entrepreneurial inclination during their diploma studies”, including “those who have participated in entrepreneurship-related programmes while at their polytechnics”. If the students’ academic results do not meet NUS admissions requirements, they will be considered under the Aptitude Based (Discretionary) Admissions Scheme, in which the university sets aside up to 15% of places for consideration of “exceptional candidates”. “NUS is a forerunner and key player in Singapore’s entrepreneurial ecosystem, and we hope to position Singapore strategically as a key node in our innovation and enterprise network,” said NUS Senior Deputy President and Provost Ho Teck Hua. We are constantly looking for students with entrepreneurial inclinations to provide them with a pathway to realise their entrepreneurial ambitions. Students admitted under the new scheme will “stand to gain from NUS’ active industry partnerships and experiential entrepreneurial education, such as the highly popular NUS Overseas Colleges (NOC) Programme”. Famous alumni of the NOC Programme include the founders of Carousell, Shopback, 99.co, and more. The bonus admission point scheme would also be extended to polytechnic and International Baccalaureate (IB) students this year. The scheme awards students applying for their first-choice programmes 1.25 bonus admission points. Last year, around 700 more A-level students (9%) were offered admission to their first-choice courses under the scheme. 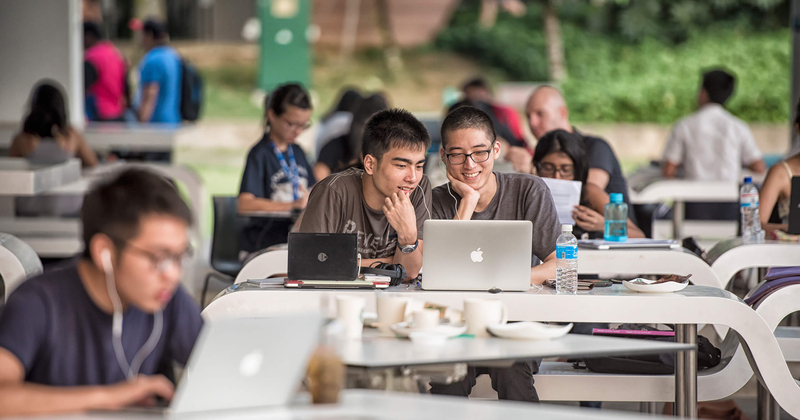 An optional Design-Your-Own-Module (DYOM) initiative will also be introduced at the start of the new academic year in August, and will let undergraduate students take up to four modular credits from the university’s Unrestricted Electives Modules (UEM). Students will be able to invite a guest speaker to tutor them on the subject, or they can select modules from edX, a massive open online course (MOOC) provider.